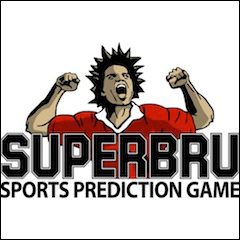 Cape Town - Round 5 of Super Rugby was reasonably straightforward on SuperBru, certainly compared to some of the weekends over the past couple of months. The biggest shock result, according to the community, was the Chiefs' win over the Stormers, picked by just 24%, while there were 4 205 GSP winners. What's in store this weekend? The two form teams of the competition face off in the opening game of the weekend in what should be quite a spectacle. The Hurricanes are the only unbeaten team left, but they take on a vastly improved Highlanders outfit who themselves are on a three game unbeaten run. They made light work of the champions last weekend and will be confident of continuing their winning run at home. The Canes are playing some typically sublime rugby, but they did look vulnerable at times against the Blues, whose lack of accuracy let them down. The Hurricanes have had a gruelling schedule at the start of this season, and their winning run will come to an end at some stage. I think this might be the week. The Rebels are proving themselves to be a tougher nut to crack than many had anticipated, and have taken something from every game they've played so far. They might not possess any bona fide stars, but in the likes of Scott Higginbotham and Mike Harris - both capped Wallabies - they have on-field leaders with enough experience to drive the team on. The Lions have had a difficult start to the season and were brought crashing back down to earth by the Crusaders last weekend after their shock win over the Blues in round four. It'll be more of the same for the South African touring side this weekend I fear. It's usually about this sort of time that the Crusaders start to find some form, and last weekend's ruthless crushing of the Lions would appear to signal that it is happening again. They welcomed back some of their big guns in Kieran Read, Nemani Nadolo and Dan Carter all of whom add star quality to an already competent line-up. This week they face another feline South African outfit in the Cheetahs. These cats are looking for their first win in Christchurch, but have slumped to two consecutive losses to wash the sheen off what was a highly competent start to the season. 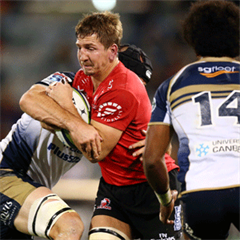 The first game of their overseas sojourn is unlikely to yield a win, as the Crusaders should continue to flex their muscles. The Force have only won once at Loftus Versfeld, way back in 2007, and their chances of doing so again this weekend would appear to be slim. Their excellent win over the Waratahs is starting to feel like a different life time, and they desperately need another victory to back that one up. The Bulls are starting to come into some form, however, and remain a tough nut to crack at their altitudinous home. It's going to go from bad to worse for the Force this weekend, against a rested Bulls side, you suspect. The Sharks went back to basics to beat the Cheetahs last weekend, sticking it up the jumper for Marcel Coetzee to benefit with two tries that were almost carbon copies of each other. 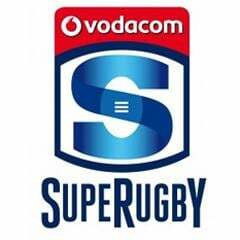 That may have been enough against their South African rivals, but the Chiefs proved last week against the Stormers that they have the wherewithal to defeat a side that simply tries to bully them physically. So, will the Sharks try to do just that, or will they try to match the Chiefs at their own game? Either way, I fear it will end in failure for the home side - they have a horrible record against the visitors, too, having not beaten them since 2009. The Waratahs have not quite been the all-conquering side they were in 2014 yet this season. They have lost as many as they have won and it's not about to get any easier, with the Brumbies in town. The Canberra-based side have four wins from five games, three of which have seen them garner bonus points. They have been playing some exhilarating rugby and rightfully sit atop both the Australian conference and the overall log. This a grudge match, however, and the Waratahs have a good record at home to the Brumbies, beating them twice last season by a collective margin of 49. I think they'll return to winning ways this weekend.